Our cover story tries to make you aware of the common mistakes people make while planning for retirement and what one should do to avoid those false steps. Retired life is often referred to as the 'golden years'. You have done your bit during your working life. You worked hard for a living and to make a mark in life, provided for your family and took care of your children's education and your parents' needs. You walked through all the ups and downs of life and fulfilled every responsibility that came your way. Now is the time to relax and enjoy life as the baton passes over to the next generation. But are these really golden years? It may be so for the smart ones who plan early and build a large enough retirement kitty to take care of expenses. But for those who lack foresight and do not plan for the retirement years, or keep deferring it for too long, the retirement years could be tough, if not outright miserable. The bills have to be paid each month and there is no regular income. Your health could sink and you may not have a health policy. And if you did not buy a house during your working life, the burden of rent would weigh heavy on your now frail shoulders. The hard fact is that you might have to provide for more years than those who retired some decades ago because Indians are living longer. According to government statistics, life expectancy in India has gone up by five years, from 62.3 years for males and 63.9 years for females in 2001-05 to 67.3 years and 69.6 years, respectively, in 2011-15. More reason why your retirement planning should be well drawn out and you should not falter on your way as you put together that desired corpus bit by bit to replace your income once that salary slip ceases to come. But people do make mistakes on this long journey, which they rue later. So many of us have seen elderly people suffer for want of finances. Our cover story tries to make you aware of the common mistakes people make while planning for retirement and what one should do to avoid those false steps. For example, have you factored in the impact of inflation on your nest egg? What seems a big amount now would be worth much less a few years down the line as inflation nibbles into it. As our calculations show, if your expenses are Rs 50,000 a month at age 30, you would need a replacement income of Rs 3.8 lakh a month at 60 at 7% average inflation. Do you have adequate health cover? Health care costs during old age could create a huge hole in your pocket. Also, have you considered buying a house or are still dithering? Having your own property not only helps in avoiding rental outgo but if the going gets tough you can reverse mortgage your property with a lender to earn regular income during the retirement years. 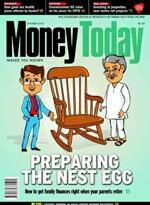 And the best way to do all this is to start investing early for your nest egg to take advantage of the compounding factor. As we point out, a saving of Rs 5,000 per month from age 20 at 12% average return will lead to an accumulation of Rs 5.94 crore at 60. If you start 10 years later, the accumulated amount will be only Rs 1.76 crore. Try to avoid these mistakes to build a wholesome package of assets to ensure that your later years are actually the 'golden' period.